Associate Professor Institute of Technology Nirma University, India. 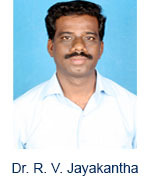 Professor & Head, Department of Computer Science & Engineering, Dr.Sivanthi Aditanar College of Engineering, Tiruchendur, India. R&D Team Leader - Electrical/Mechatronics Lakshmi Machine Works Limited, Coimbatore, India.